If you’d like us to fit you in for any work in Barrie today, this is your last chance! 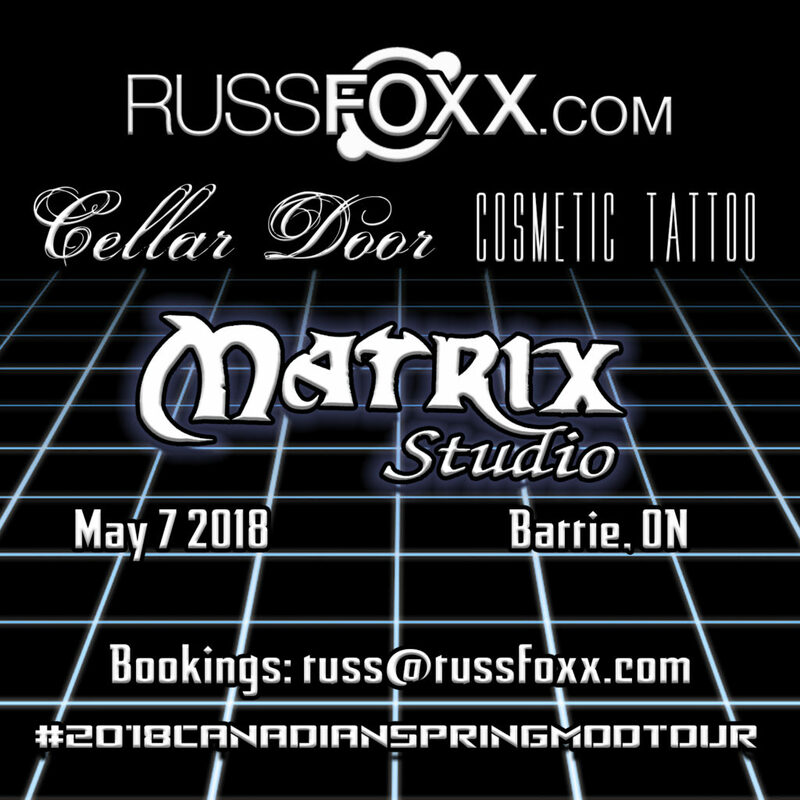 Email russ@russfoxx.com to book in. 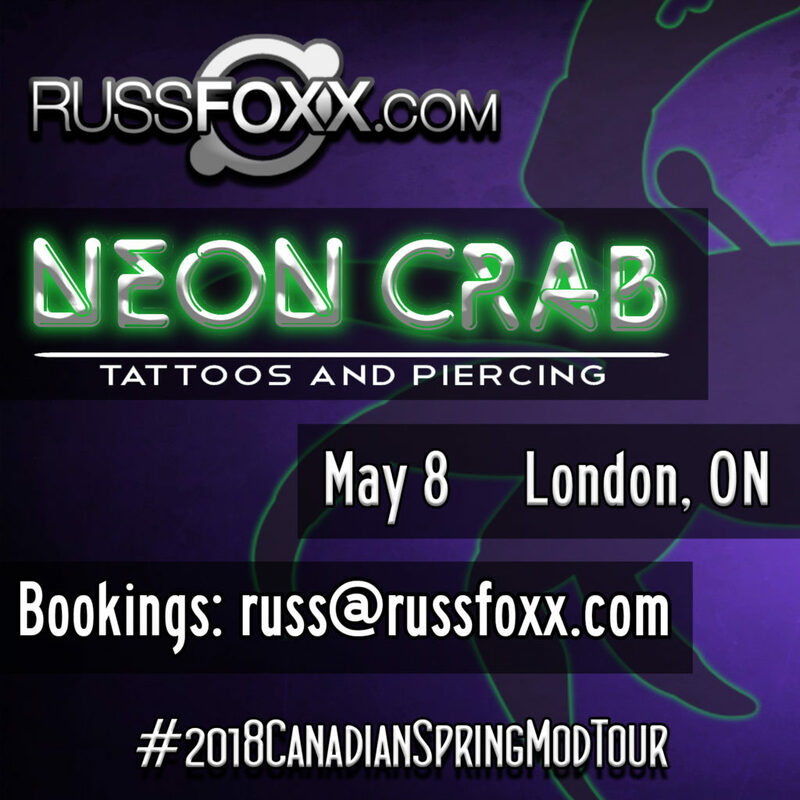 Tomorrow we will be visiting our friends at Neon Crab – London! Catch Me in Alliston & Barrie Today and Tomorrow! Today we are in the Alliston area, and tomorrow is Barrie! Email russ@russfoxx.com if you’d like to catch us for anything! 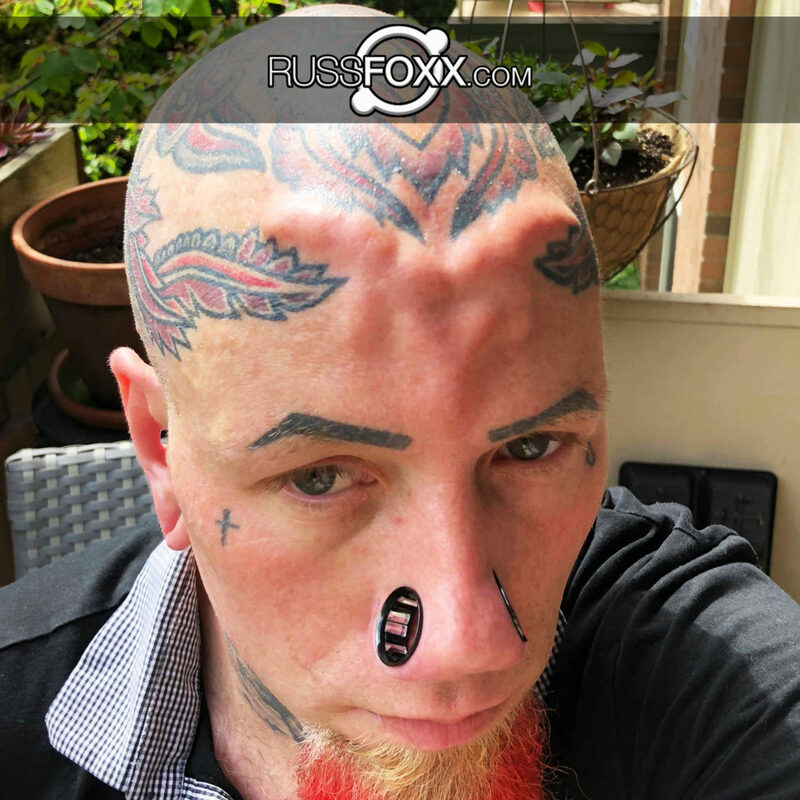 Here’s some recent forehead work I did for my friend Thomas. Enjoy! Today is our final appt day in Thunder Bay before we head South! Here is our itinerary for the coming week in Ontario. Email russ@russfoxx.com if you’d like us to fit you in for anything during these dates! Here’s a recent inner conch piercing I did featuring a custom niobium piece hand-made by Alex at Identity Tattoo and Piercing! 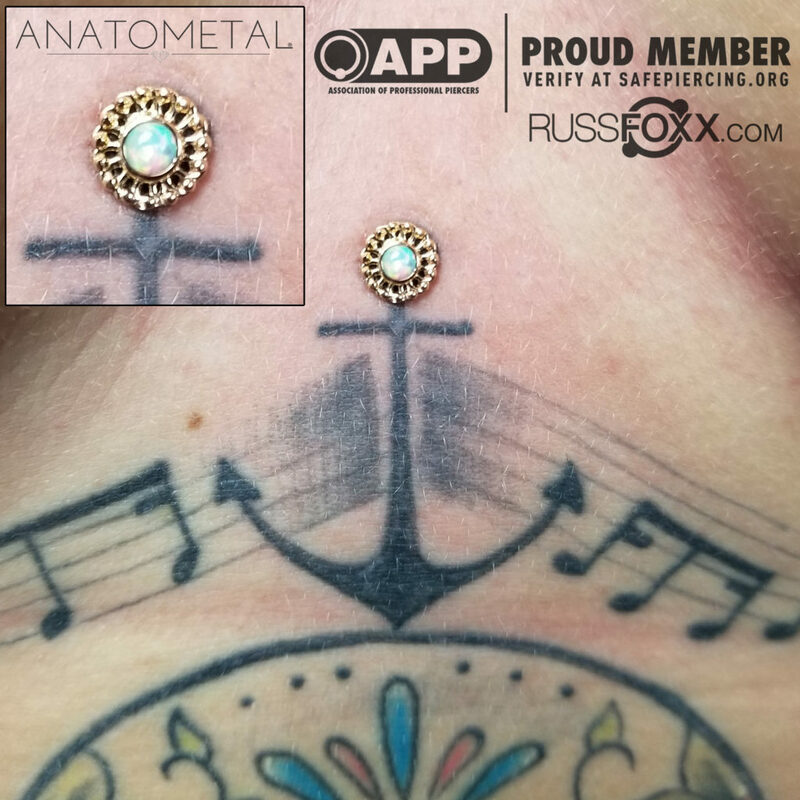 Misty’s new microdermal topped with an 18k rose gold Virtue end w/ 3mm synthetic white opal inlay by Anatometal. The new Lizard Army Tongue Split tie-dyed baseball tees are running out! Only small, med and large left. Buy yours in person to avoid shipping costs. Taking Bookings in Winnipeg, MB! We made in to Winnipeg! 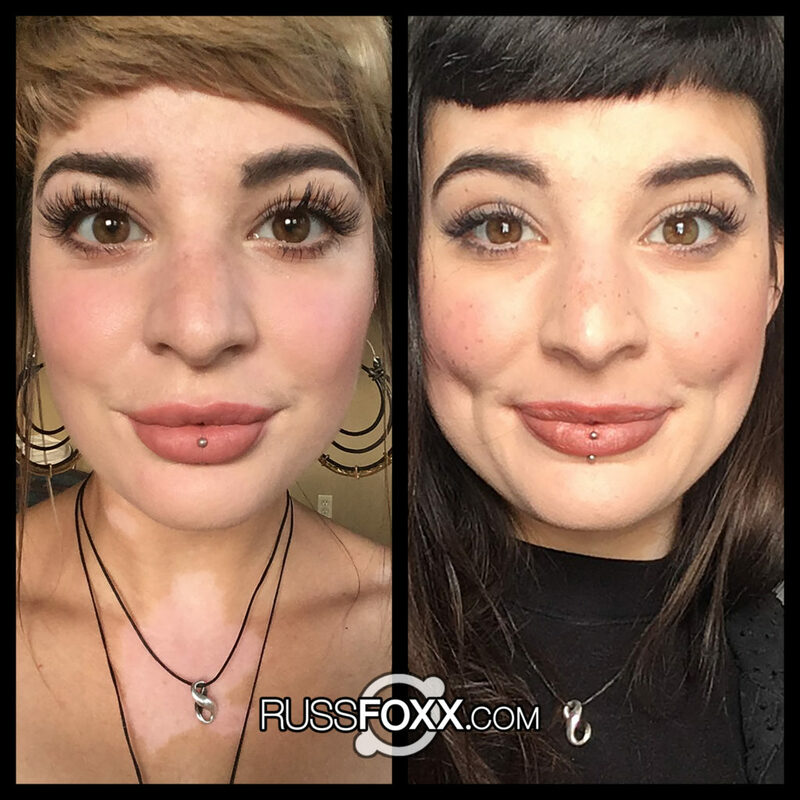 Email russ@russfoxx.com if you’d like us to fit you in for anything today or tomorrow! 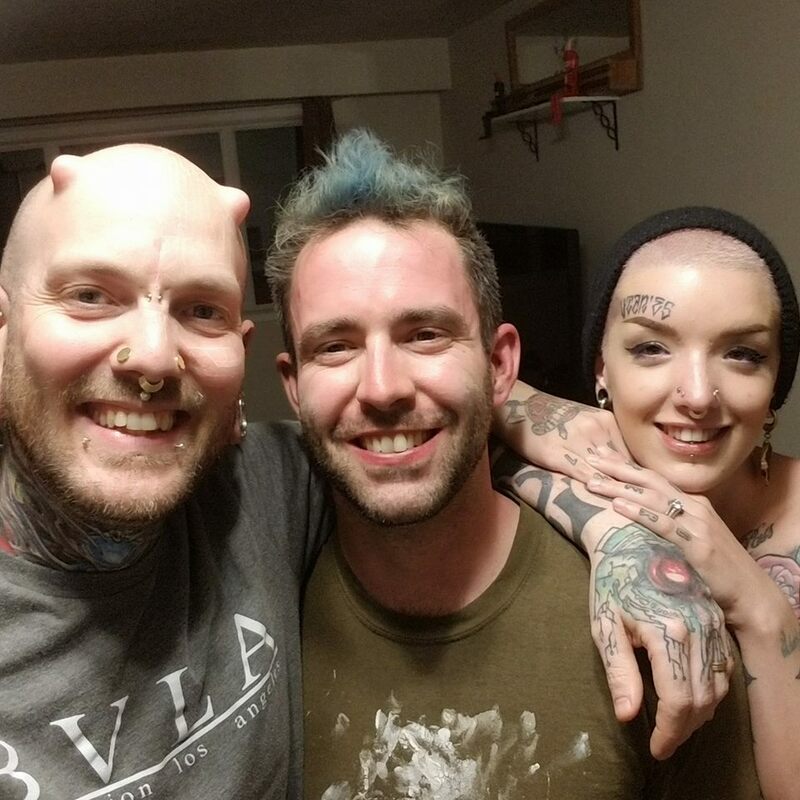 Today we are taking care of modification bookings in Saskatoon, so catch us quick if you’d like to be squeezed in before we head to Regina, SK tomorrow and Brandon, MB the next day! 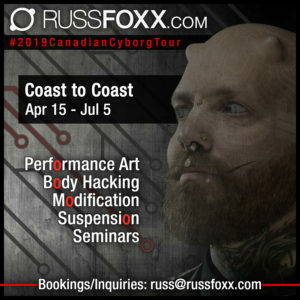 Email russ@russfoxx.com to book in for any of these stops!